Jacob Collier guides us through a world of melody, uncovering his recipe for what makes the greatest tunes that are truly universal, spanning time, genre and place. Multi-instrumentalist Jacob Collier guides us through a world of melody, uncovering his recipe for what makes the greatest tunes that are truly universal, spanning genre, time and place. ANTONIN DVORAK Symphonie Nr. 9 'Aus der Neuen Welt' Heldenlied, op.111. Tchaikovsky: Nutcracker Suite, Serenade For Strings; Neville Marriner. Conductor: Andrew Parrott. Ensemble: Taverner Players. Vivaldi: The Four Seasons; Taverner Players, Parrott. Music for Large & Small Ensembles. Conductor: Nikolaus Harnoncourt. Orchestra: Chamber Orchestra of Europe. Beethoven: Symphonies nos.1-9: Chamber Orchestra of Europe/Harnoncourt. Ella Fitzgerald Sings the Cole Porter Songbook. Conductor: Johannes Klumpp. Orchestra: Folkwang Kammerorchester Essen. Mozart: Symphonies Nos. 13, 16, 29 & 40. Bernstein: Arias and Barcarolles etc. :LSO/Tilson Thomas. Singer: José Carreras. Singer: Tatiana Troyanos. Singer: Louise Edeiken. Ensemble: Orchestra and Chorus. Conductor: Leonard Bernstein. Performer: Magdalena Kožená. Orchestra: Mahler Chamber Orchestra. Conductor: Marc Minkowski. 100 Greatest TV Themes Vol. 2. Singer: Tatiana Troyanos. Singer: Louise Edeiken. Orchestra: Orchestra. Choir: Chorus. Conductor: Leonard Bernstein. Somewhere - The Leonard Bernstein Album. BBC Radiophonic Workshop - 21. Conductor: Richard Hickox. Orchestra: BBC Philharmonic. The Grainger Edition, Vol.1 - Orchestral Works. Conductor: Leonid Kharitonov. Ensemble: Academic Ensemble of Song and Dance of the Soviet Army. Music Arranger: Glenn Miller. Orchestra: Glenn Miller and his Orchestra. Song of the Volga Boatmen. 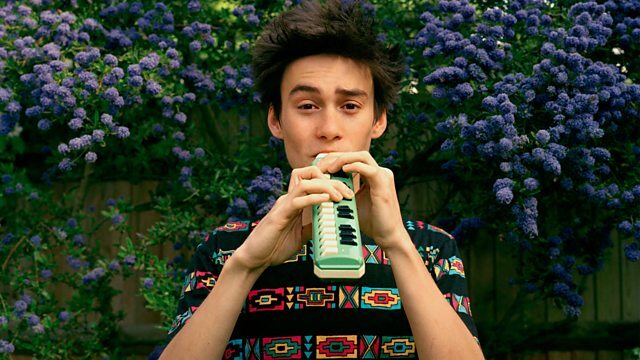 Jacob Collier brings his trademark musicality to a new show about music's inner workings.